It goes without saying that pets bring so much love and joy to our lives. In turn, we want to provide our fur babies with the best care possible. Often times, finding trustworthy and reliable pet resources and services can be stressful and overwhelming. 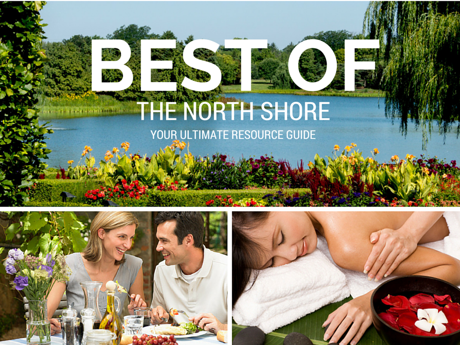 Understanding that every dog is different and every family has their own unique needs, we have compiled this list of some of the North Shore's best pet care providers to help point fellow dog owners in the right direction! Whether you've got a new born pup on your hands or maybe someone who could use a little help with their manners, finding the right trainer can be a life changer. While their styles and techniques may vary, chances are you won't go wrong with any of the trainers listed below. Owned by a Marine Corp veteran, everyone raves about their compassionate, warm but firm training style that is often referred to as life altering. They offer a variety of services including lodge and learn (6-8 week board and train program), in-home training, drop-off day training and a variety of other specialized training services. 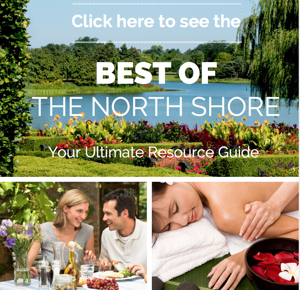 Serving Northbrook, Glencoe, Winnetka, Kenilworth, Wilmette and nearby neighborhoods. Marius Geykman's success as a dog trainer can be attributed to his philosophy of empowering both ends of the leash through positive cooperative training and utilizing the clicker training technique. Services include off site and in-home pre-puppy consults, behavior modification, vet & grooming training visits, group training and more. Local service area includes everything east of 294, south of Lake Forest and north of Glencoe. Additional fees for locations outside the local service area. Owner Michael Jayko is an all in one professional dog trainer specializing in dog aggression, anxiety, problem behaviors, puppies and puppy selection. He is very knowledgeable and patient and offers flexible hours, private in-home sessions, as well as pack walks and daycare with a wide service area. A graduate of the Animal Behavior College and experienced dog rehabilitator, Allison turned her lifelong love of dogs into a career that she is truly passionate about. She offers an in-home 7 week puppy training program as well as well as single and customized packages. Free initial consultation. She also hosts pooch playgroups in her backyard in Deerfield but services the entire North Shore. Doggieology101 is all about teaching people how to have balanced relationships with their dogs by educating them on how to become effective pack leaders. 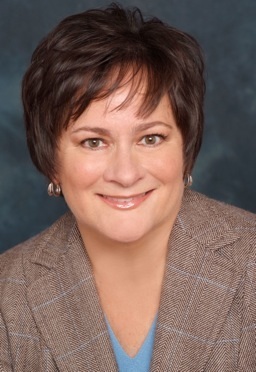 Owner Carla Moser serves as your K9 coach and often only needs one session to teach owners the skills to manage and erase their dog's annoying behaviors. While most of us hate the idea of being separated from our four-legged family members, it is simply not possible to have them by our sides at all times. Having a safe and loving alternative is crucial to your peace of mind. And luckily there are a variety of providers to choose from that can provide both in-home and home-away-from-home options. Kennelworth Kennels resides on an acre of land and provides a clean, safe, and fun atmosphere for you to board your pet while you're away or just at work. The owners live on the premises, granting the fullest comfort and security available to both you and your pet. Each private indoor run is connected to a large private outdoor run, and, weather permitting, dogs will have the ability to go in and out as they please. Warning: lots of happy customers, books up quickly during peak times. Their DayCamp runs Monday – Friday, $25 per day. Drop off: 8 – 11 am, Pick-up: 4 – 7 pm. Private play sessions and training services also available. Lake Forest Kennel Club is located on 3 beautiful acres and has been serving pet owners on the North Shore since 1960. Pets stay in individual, climate controlled spaces. VIP suites are offered as well. Their experienced staff ensures all of your pets needs will be met. Individual as well as group play available. Their daycare runs Monday – Friday, 7:30 am – 6 pm; Saturday: 8 am – 5 pm. Rates: $25-35 per day. Grooming services also available. Wiggly Tails is a daycare, boarding, training, and grooming facility for dogs, providing care for dogs during the work week and vacations. The staff is dedicated, trained, and certified by the American Red Cross in pet CPR and First Aid. They will love and care for your dog as if it were their own dog. Owner, Katie Werthman provides dog walking and dog sitting services, day or night, at her home or yours. Either way your dog will have all of the comforts of "home" while you are away. And you'll receive plenty of pics and text updates. 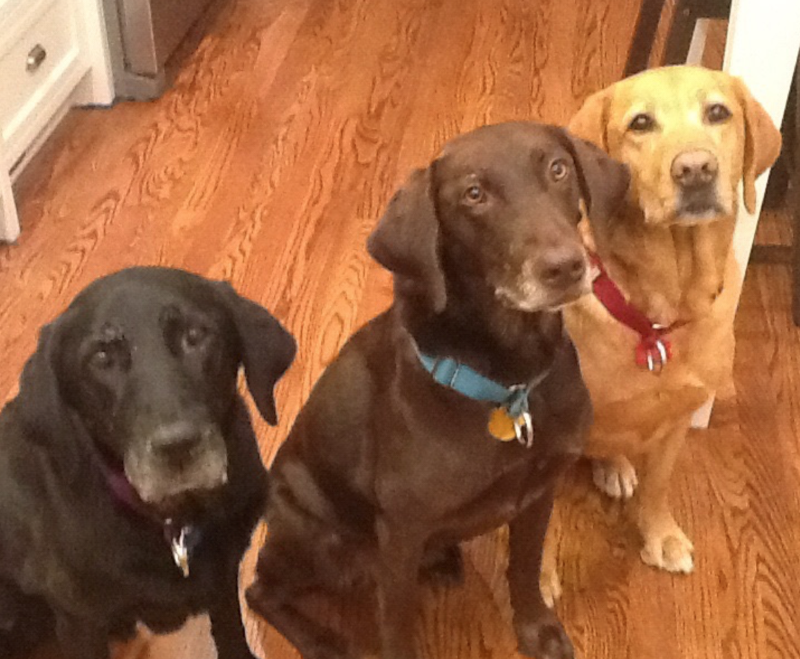 Doggie Dharma is a dog walking and in-home pet sitting service that services the entire North Shore. They provide daily visits as well as overnight stays and will also bring in your mail, water plants, take out trash and other daily house sitting needs. 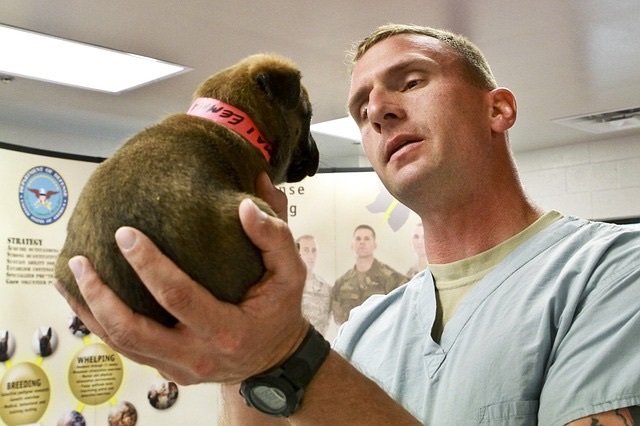 They are also able to handle minor medical care including pills, shots, drops and surgical recovery. Known for their great communication. Provides reliable, loving in-home pet care and dog walking services including daily visits as well as overnight stays (depending on availability). They will administer medications and take care of household needs. Service area includes Northbrook, Deerfield, Riverwoods, Highland Park and Glencoe. A personalized, full-service, in-home pet care service providing dog walking and pet sitting services in Evanston, Wilmette, and Kenilworth. All veterinarians are not created equal. Having a knowledgeable doctor with flexible hours and patience for all of life with dogs little emergencies is key. The following vets are known for all of that plus a whole lot more. Since its inception in 2007, the Winnetka Animal Hospital has become one of the most highly regarded veterinary clinics serving Chicago's North Shore. The facility is equipped to offer full diagnostic, medical, surgical and dental services. In-house diagnostics include a laboratory, ultrasound, and radiology, enabling them to diagnose and treat problems in minutes. Very knowledgeable staff and a clean, modern facility. North Shore Family Pet Hospital is a friendly, caring, family-oriented animal hospital offering wellness exams, immunizations, hospitalization, general surgery, dental care, nutritional counseling, on-site digital radiology, and a complete in-house diagnostic lab. 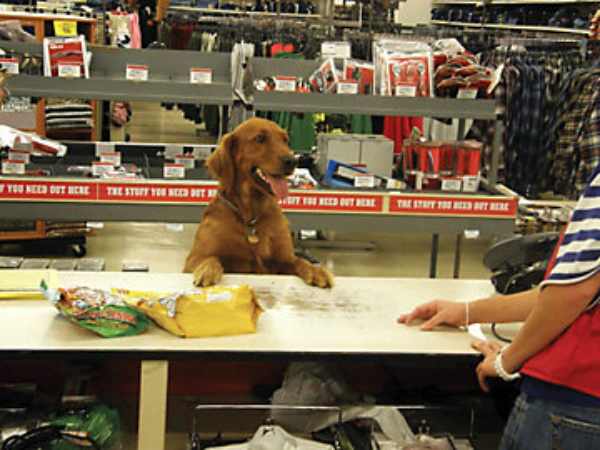 They also offer behavioral and training consultations, quality-of-life consultations and peaceful euthanasia. The quality of the entire staff is top notch and the facility is clean, warm and inviting. Since 1977, the Animal Hospital of West Lake Forest has been providing full-service veterinary care. Whatever your pet's issues may be, their professional staff is here to serve your dog or cat with the most cutting-edge care, including wellness exams, dental care, microchipping, radiology, surgery and grooming. The on-site laboratory complete with radiological capabilities, enables them to diagnose your pet's issues while you wait and immediately provide treatment, so your pet can regain health quickly. The entire staff is very accommodating and patient. Finding the right groomer for your dog can be just as tricky, if not more so, than finding your own hair stylist. Rest assured, the following groomers now their stuff and have the expertise to handle any breed regardless of temperament. Groomer Myong Lee has 14 years of experience with all breeds. In addition to their highly recommended grooming skills, Wags on Willow is also an upscale pet boutique that offers the very best in food, fashion, and fun toys for your furry friends. The perfect place to spoil your fur baby rotten! A relative new comer to the North Shore but already a local favorite. 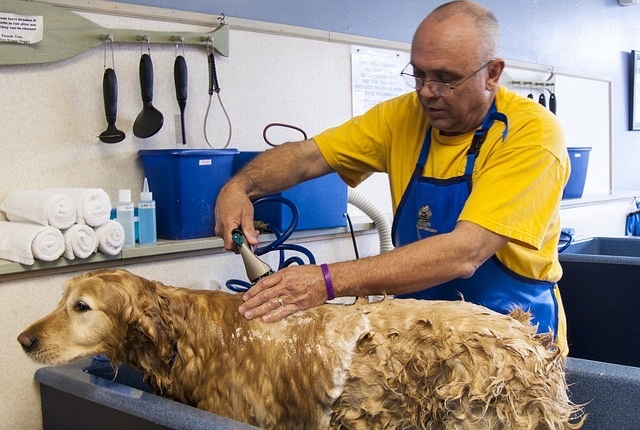 Love Fur Dogs is run by an award winning groomer and the area's only Certified Master Groomer. Jennifer Bishop-Jenkins and her staff offer complete grooming services as well as day care, pet taxi services (for your appointments as well as other destinations), high quality pet supplies, and their very own grooming training academy on-site. Offers the best in organic, all-natural and careless spa treatments for your pup. Choose from a selection of pre-determined spa packages or a la carte services. Pick up and drop off as well as additional services for senior and special needs dogs available too. Features an on-site boutique as well as dog training, dog walking and pet sitting services too. Comprised of a team of caring and experienced groomers. Lee, Sally and Angie have all received rave reviews. Nice, large facility so not too noisy and not too cramped. At about $20 a pop, this do-it-yourself option offers all of the convenience and affordability without the mess! The facility is immaculate and features well stocked, pet-friendly tubs and drying stations providing everything you could possibly need to have your fur baby looking in tip-top shape. And don't worry, you're never truly alone, their resourceful staff is on-hand to guide you and offer suggestions. A quick note, especially for those of you in the area - is also highly recommended but is not currently taking new clients. You may want to check in with them from time to time or consider one of these other fine options! One of many things that we love about living on the North Shore is the beach access. But why should we humans have all the fun? Fortunately, there are five designated dog beaches whereFido and friends can splash around off leash. Just be sure to check each website for schedules, permit information and other restrictions. Hours vary by season. Fees: Wilmette residents: $25/year ($5.00 for each additional dog); non-residents: $150/year and $50 for each additional dog. Open from dawn to dusk, April through November. Registration is required online or at the Heller Nature Center. Fees: HP residents: $40 first dog ($20 each additional dog); non-residents: $140 first dog ($70 each additional dog). Gives you access to all off-leash areas in Highland Park – see Parks below. Open 7:00 am to 8:00 pm. Evanston residents: $40/season; non-residents: $80/season. Tokens are required to enter the beach and may be purchased at the Dempster Street Beach Office (where Dempster St. meets the lake): 10am-5pm daily between Memorial Day & Labor Day or at the City Collector's Office in the Civic Center. Open 6:30 am to 10:00 pm. Fees: Winnetka residents: $30/year and $10 for each additional dog; non-residents $160/year and $35 for each additional dog. Non-residents must also purchase a $10 parking sticker. Permit required. Open 5:00 am to 10:00 pm. Pooch Park features more than 2.7 acres of open area. The park also features separate fenced-in areas for puppies and small dogs, and for agility training. 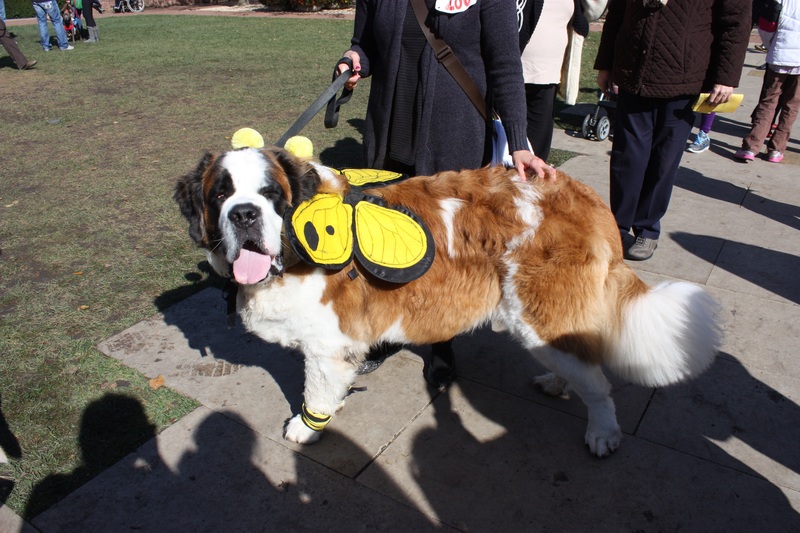 To register your dog, stop in at any Skokie Park District facility with the following documents: proof of shots for rabies, distemper, parvovirus, hepatitis, bordetella, and para-influenza, as well as proof of stool specimen for internal parasites. Pass required. Open 6:00 am to 9:00 pm. This fenced 6 acre off-leash park is open to dog pass purchasers only and features a separate small dog area, ADA walking paths, fountains for dogs and people, dog wash station, benches, a shelter for shade and inclement weather, and waste disposal bags and receptacles. Fees: Glenview residents: $50/year plus $25 for each additional dog; non-residents $100/year plus $50 for each additional dog. No permit or fees required. Not very large, but the dogs like it anyway. Fenced in with water, bags to clean up after your dog, some obstacles for agility training and picnic benches. Accompanying playground for children. Open all year long from dawn to dusk. This area offers a very relaxed park-like atmosphere. 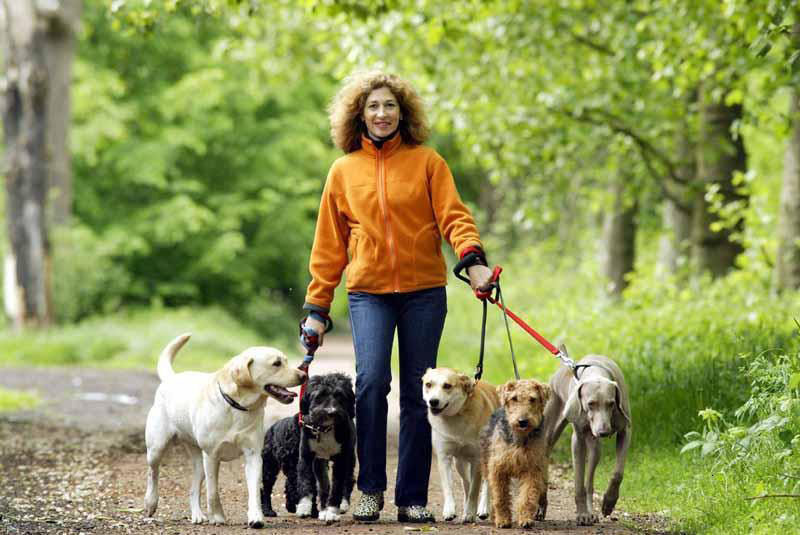 There are two off-leash exercise areas available, depending on the size of your dog. This area is open all year long. Registration is required online or at the Heller Nature Center. Fees: HP residents: $40 first dog ($20 each additional dog); non-residents: $140 first dog ($70 each additional dog). Gives you access to all off-leash areas in Highland Park, including Moraine Beach. Open December through March from dawn to dusk. This area offers a large venue for your dog to run off some of that cabin fever energy. There are two off-leash exercise areas available, depending on the size of your dog. Registration is required online or at the Heller Nature Center. Fees: HP residents: $40 first dog ($20 each additional dog); non-residents: $140 first dog ($70 each additional dog). Gives you access to all off-leash areas in Highland Park, including Moraine Beach. Open all year from 6:30 am to sunset; 44 acres of fenced in open space and trails for your dog to explore. Features swimming pond, large fields, training enclosures, tables and water. Permit required. Purchase daily pass online or at self-pay station in parking lot, annual passes available. Fees: Lake County residents: $50/year ($20/additional dog); non-residents $150/year ($75/additional dog). From the basics to spoiling our dogs rotten, having an easily accessible go to for all of your pets "needs" and then some makes caring for your pet a whole lot easier! Provides a high quality, all natural selection of pet food, toys and treats. Although a national chain, it still feels like a neighborhood store. Clean, well-stocked with a varied selection of food and supplies and exceptional customer service. Professional grooming as well as self- grooming services available as well. Pet supplies - also ask about the Adopt-a-Pet foster care program. For the truly indulgent. They use only the freshest ingredients, bake everything on site and include product ingredient labels with guaranteed analysis for fiber, fat, protein and moisture. The retail store also offers unique and value-oriented products that are all natural and ecologically friendly. Still searching for the perfect dog? Why not consider rescuing a dog in need of a forever home. They also have wonderful volunteer opportunities and gladly accept donations.